ABS (acrylonitrile butadiene styrene) is a frequently used 3D printing material. It has good mechanical properties and can be used for a wide range of applications. ABS (acrylonitrile butadiene styrene) is a frequently used 3D printing material. It has good mechanical properties and can be used for a wide range of applications. 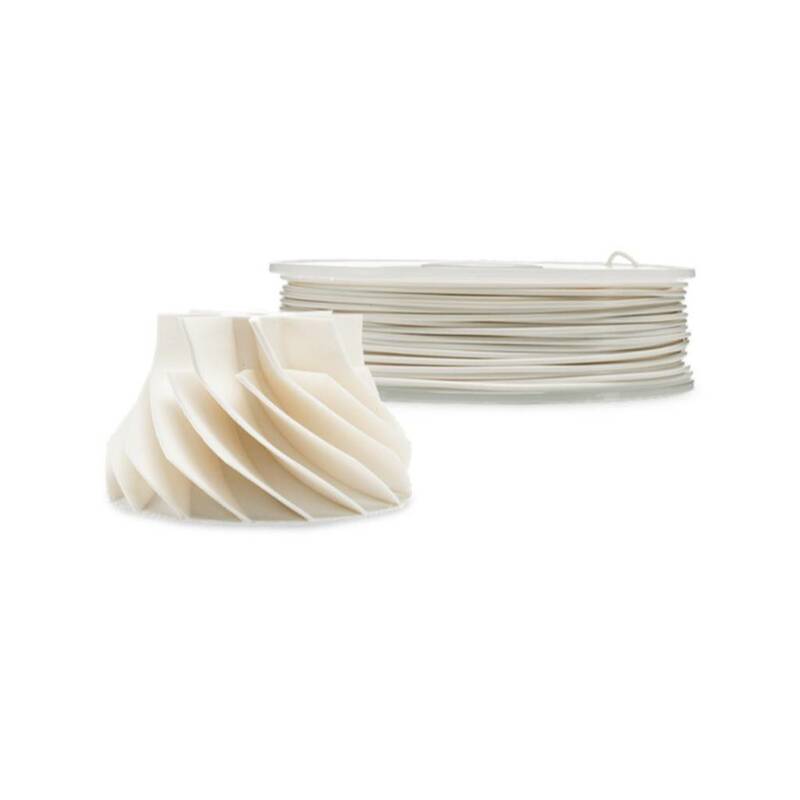 Ultimaker ABS shows exceptionally low warping and consistent layer bonding, making it more reliable and easier to print with than other regular ABS filaments. Here is everything you need to know to start printing with Ultimaker ABS. Always use the latest version of Cura and make sure that your 3D printer is updated with the latest firmware version to include the correct material profile for Ultimaker ABS. The temperatures listed in the table are used for the Ultimaker ABS print profiles in Cura for the Ultimaker 2+ and Ultimaker 2 Extended+. For best results, it is crucial to select the right printer, nozzle diameter and material in Cura. Also, make sure to select the correct material on your Ultimaker 3D printer to automatically use the corresponding temperatures. ABS requires some cooling while printing. However, too much cooling can cause problems with layer bonding. ABS tends to contract when cooling down too fast, leading to possible delamination. The default print cooling fan speed in Cura for the Ultimaker ABS depends on the nozzle diameter. The maximum print cooling fan speed is 100%, which means that shorter layers receive more cooling to retain an optimal print quality. All default profiles for Ultimaker ABS in Cura use a brim as a build plate adhesion method. A brim is made of a few extra printed lines around the 3D print on the initial layer to ensure better adhesion and avoid warping. When printing with Ultimaker ABS you must apply a thin layer of glue (included in the accessory box of your 3D printer) to the glass plate. Not using the glue results in a high risk of chipping the glass plate when removing the print and may void the warranty. Please note that it may be easier to remove the 3D prints from the build plate if it is still slightly warm at approximately 40ºC. 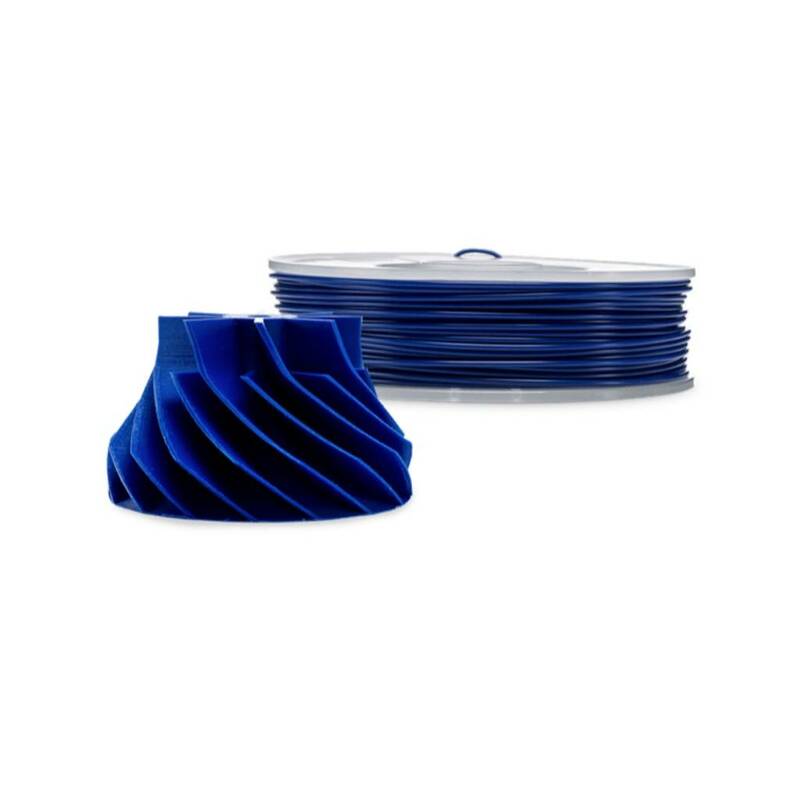 The Advanced 3D Printing Kit contains a package of special adhesion sheets as an alternative adhesion method to protect the glass plate. The door included in the kit will help avoid cracks in your 3D prints. This is especially important for large or thin-walled 3D prints. The door provides a controlled print environment for more consistent and reliable results. Ultimaker ABS is safe to print when using the recommended temperature settings listed above. To ensure a comfortable and healthy environment, we recommend 3D printing in a well-ventilated area. For more information, download the safety data sheet for Ultimaker ABS here. NOTE: The information provided here applies to Ultimaker ABS, but may apply to ABS filaments from other suppliers. The use of ABS from other suppliers is not covered by the Ultimaker warranty.